Beautiful, large, level parcel with mountain views and log home with wrap around porch! Features: high ceilings with beams in dining room and living room with wood burning stone fireplace and hardwood floors, large kitchen open to dining room, first floor bedroom, spacious guest rooms on second floor, incredible closet space for storage, garage, stone chimney, 6 year old roof, and new hot water heater. Great opportunity to have a nearly two acre parcel to enjoy privacy and have plenty of space for gardening, recreation, and pets; invisible fence in place. Ideal location for easy access to resort amenities, farmers market, and Nellysford town hub for groceries, dining, banking, doctors, and more! 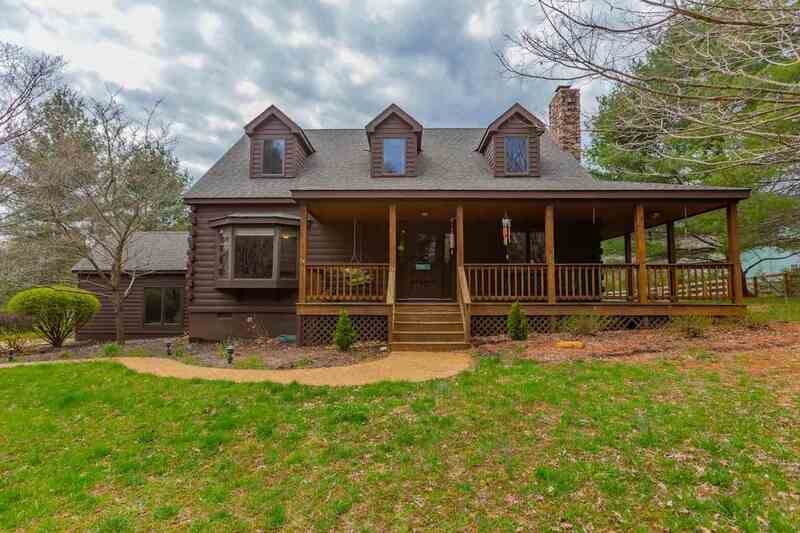 Please, send me more information on this property: MLS# 588682 – $314,900 – 51 Stone Chimneys Rd, Nellysford, VA 22958.